The improvement in business conditions promoted job creation, while confidence towards the year-ahead outlook for activity was at a four-month high during March. 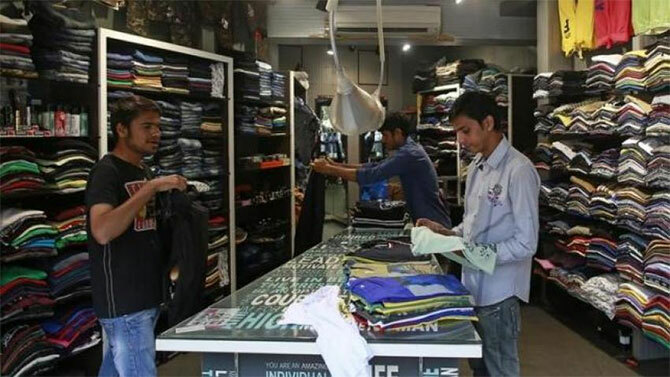 The services sector in India registered second straight month of growth in March, driven by strong rise in new work orders amid softer inflationary pressures, a monthly survey showed on Thursday. The Nikkei India Services Purchasing Managers' Index (PMI), which tracks services sector output on a monthly basis, rose from 50.3 in February to 51.5 in March. The Nikkei India Services Business Activity Index posted above the critical 50.0 level, which separates growth from contraction for the second-month running in March. "India's private sector economy stayed on an upward trajectory during March, benefiting from an upswing in demand and output. The country's rapid recovery from the demonetisation-related downturn was accompanied by job creation and softer inflationary pressures," said Pollyanna De Lima, economist at IHS Markit and author of the report. Indian services sector had returned to growth in February after three months of demonetisation-driven contraction. The improvement in business conditions promoted job creation, while confidence towards the year-ahead outlook for activity was at a four-month high during March. Meanwhile, the seasonally adjusted Nikkei India Composite PMI Output Index -- that tracks manufacturing as well as the services sector -- increased to 52.3 in March from 50.7 in February, signalling a quicker rise in private sector activity across the country. Going ahead, services companies indicated that activity is expected to rise over the coming 12 months. On the prices front, though input costs for services firms rose in March, and some services companies raised their own selling prices in that month, the overall rate of charge inflation was "slight". "By historical standards, the increases in new work and activity remain relatively mild, though growth is likely to gather speed as we head into the new financial year. This is shown by firms' willingness to hire additional employees and reinforced by stronger confidence towards the 12-month outlook for output," Lima said. The RBI policy statement is expected later today. Experts believe the central bank is likely to hold key rates while unveiling the first bi-monthly review of 2017-18. The Reserve Bank in its policy review meet on February 8 kept key interest rate unchanged at 6.25 per cent and said it is awaiting for more clarity on the inflation trend and impact of demonetisation on growth.